This feature is only available with the Ultimate plan. 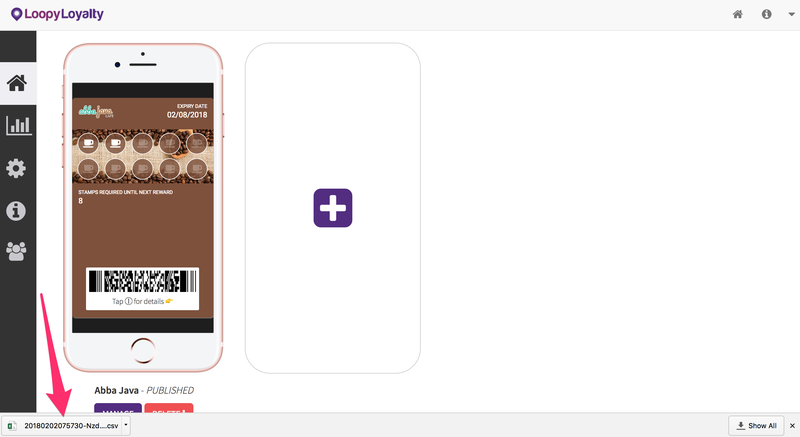 1 - Log in to Loopy Loyalty and click on a card design. 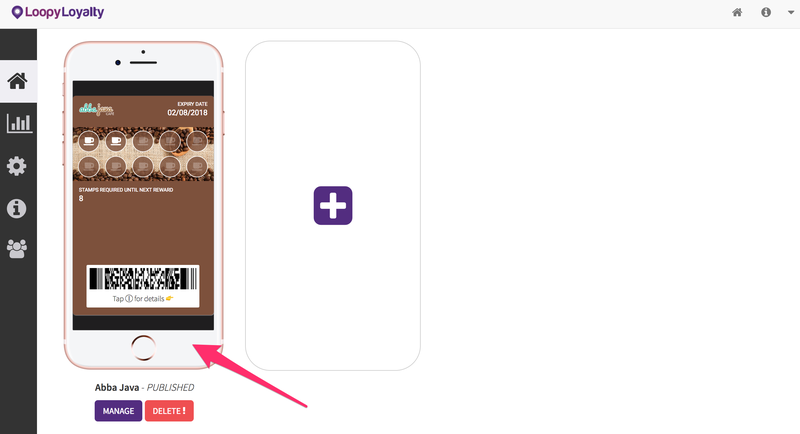 2 - Click on the 'Export' icon on the Overview page and click on the 'Export' icon to confirm. 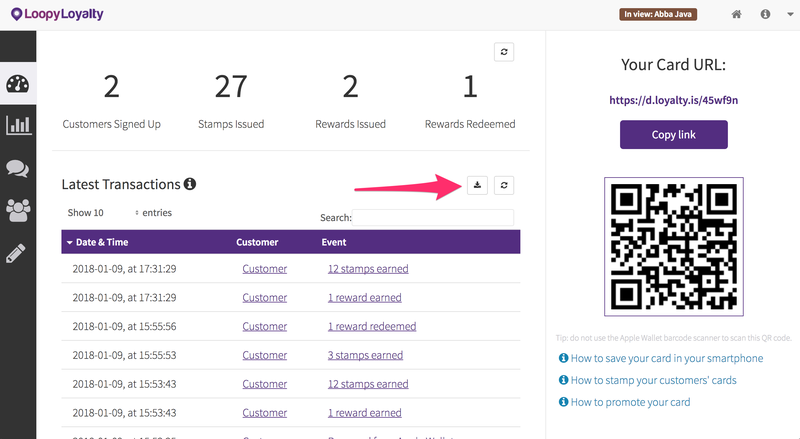 3 - You will receive an email with a link to your CSV download. This download link expires in 24 hours. Click on the 'Download' CSV button in your email. 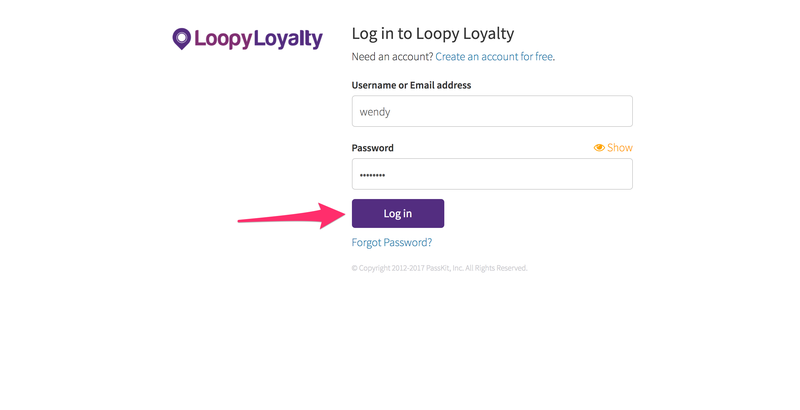 4 - Log in to your Loopy Loyalty account and your CSV download should start. Important: make sure you have disabled popups. Otherwise your CSV will not download. 5 - Click to open your CSV to view all data. If 24 hours has passed since you received your CSV export, your CSV will no longer be accessible and you will see a page similar to this.